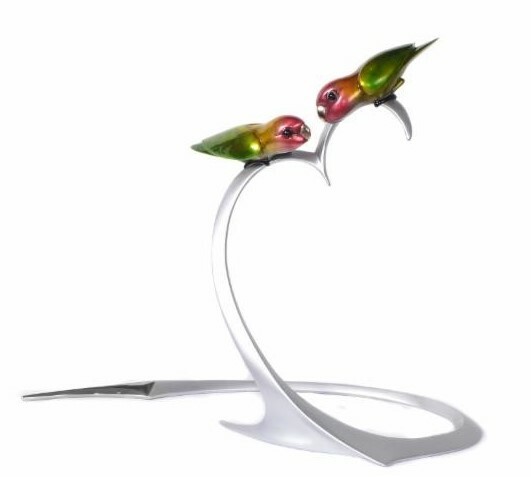 Frogman’s 2018 Valentine’s Sculpture features two colourful and vibrant lovebirds perched atop a silver nitrate reed. Lovebirds are often considered the inspiration for Valentine’s Day and provide the ideal expression for this annual release. This entry was posted in Bird Sculptures, New Release and tagged featured by Bronze Frogs. Bookmark the permalink.